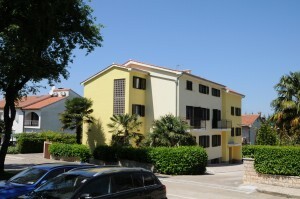 This beautiful, newly built apartment is on the first floor and is suitable for up to 4 people. 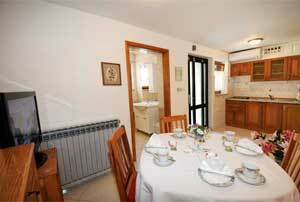 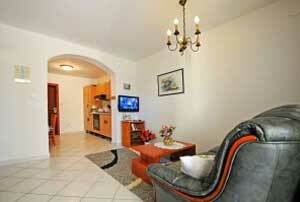 It offers a separate bedroom, living room with kitchenette and dining area with sofa bed (160 × 200). 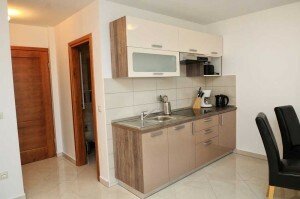 Bathroom with shower / WC available. 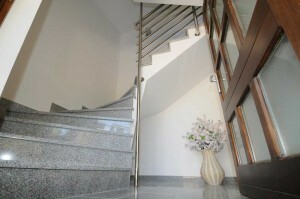 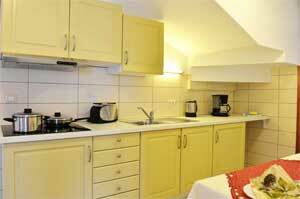 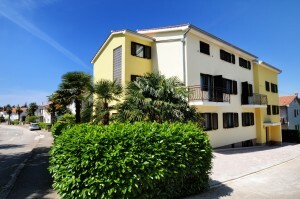 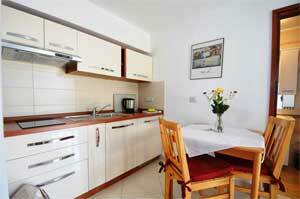 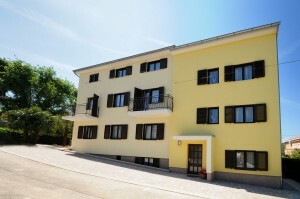 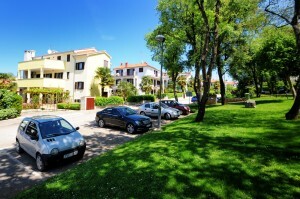 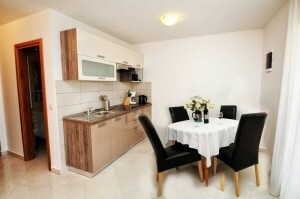 The apartment is equipped with air conditioning, satellite TV and Internet. 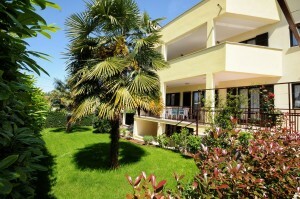 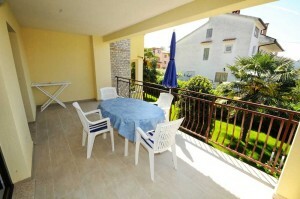 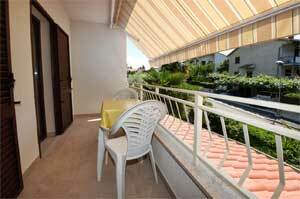 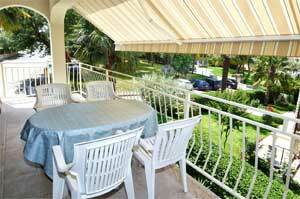 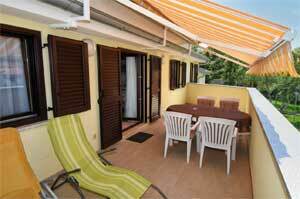 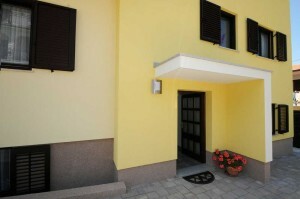 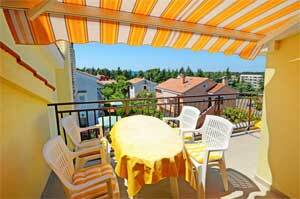 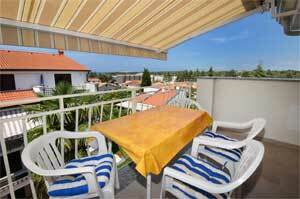 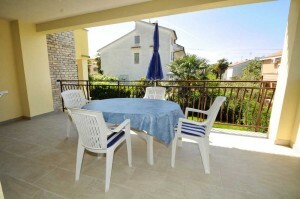 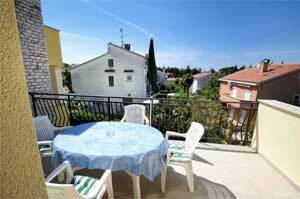 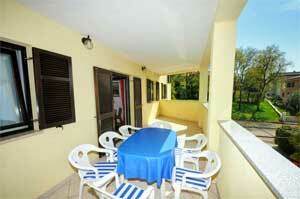 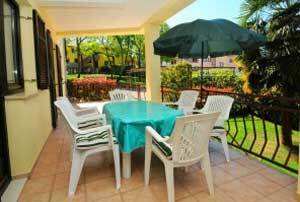 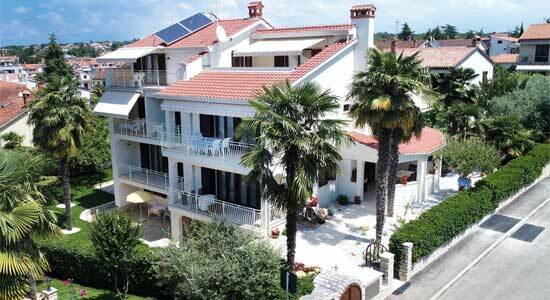 It has an outstanding beautiful big balcony (17.00 sqm) and quiet location. 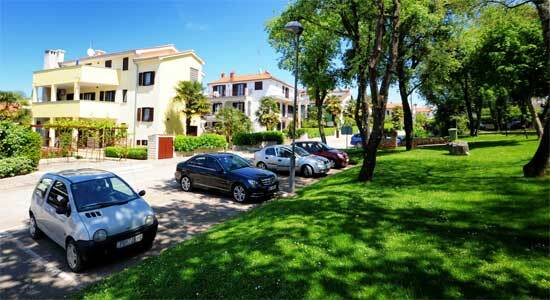 Own parking area.